The use of organic LED lights to the fullest is the future which gives relaxation and comfort to each person. 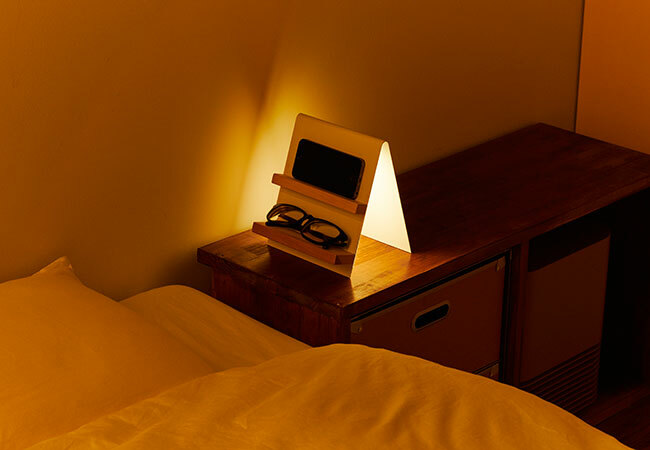 It is a relaxing bedside lamp that does not affect sleep due to its simple triangular shape design which does not give away any dazzling emission and blue lights. 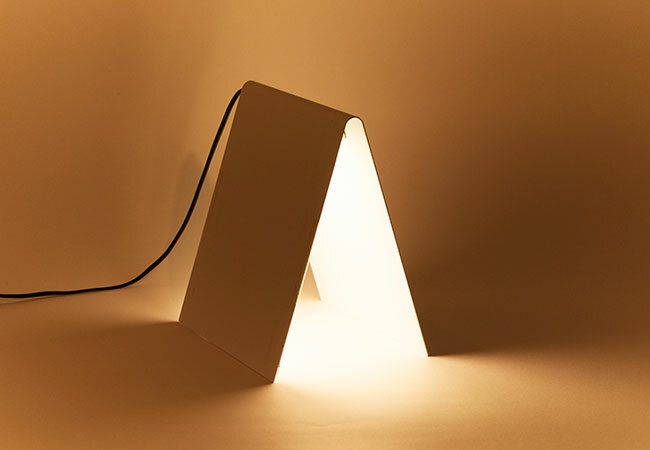 The friendly light and Japanese style OLED design was inspired by traditional Japanese houses. The triangular OLED shape has many features which can be used for the placement of your mobile,glasses. 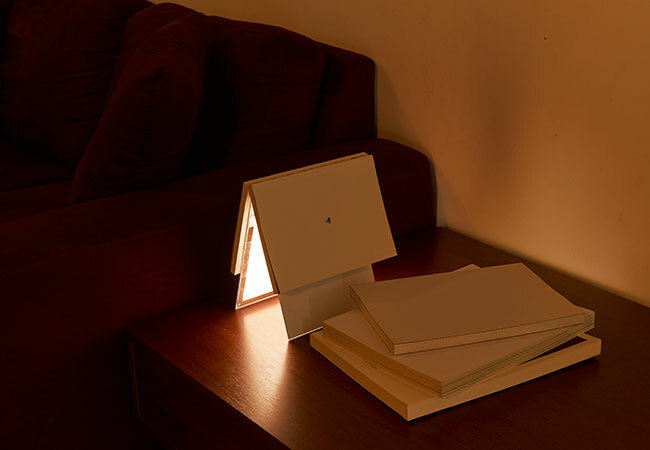 Its triangular shape, readers are able to use the lamb as a book marker which readers can place the book on the light.